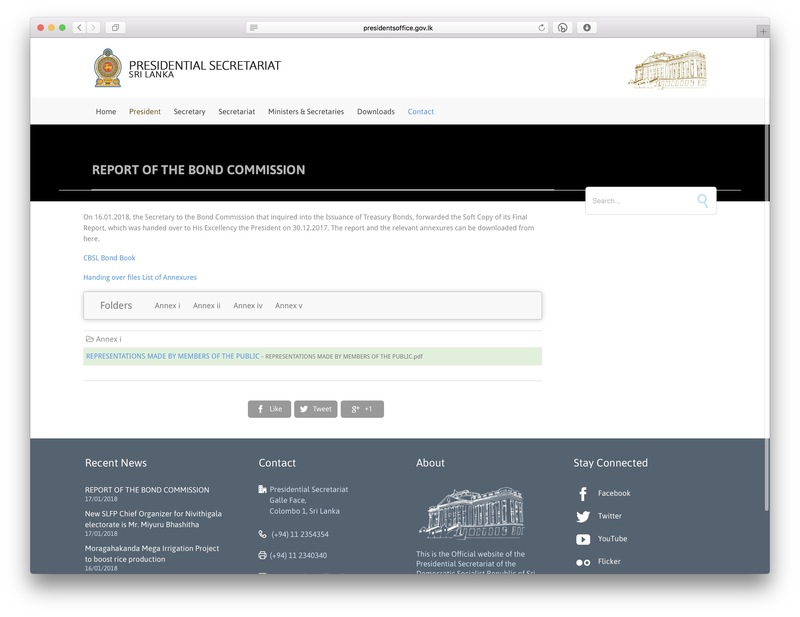 On 16.01.2018, the Secretary to the Bond Commission that inquired into the Issuance of Treasury Bonds, forwarded the Soft Copy of its Final Report, which was handed over to His Excellency the President on 30.12.2017. A mirror copy and archive of all the documents on the webpage can be access from here. As noted on Twitter, Annexure III was missing from the original set of documents.